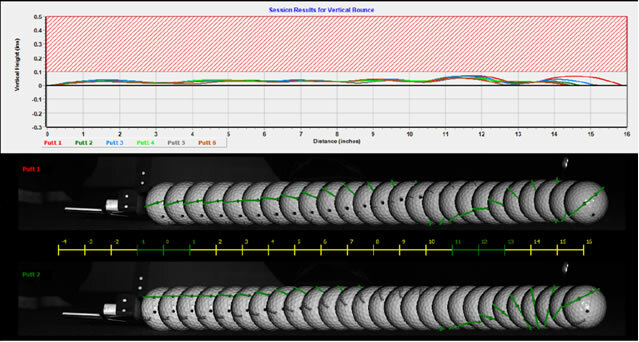 Additionally, you have graphs for each putt covering the 'Ball Roll', 'Ball Speed', 'Vertical Bounce' and 'Face Angle'. 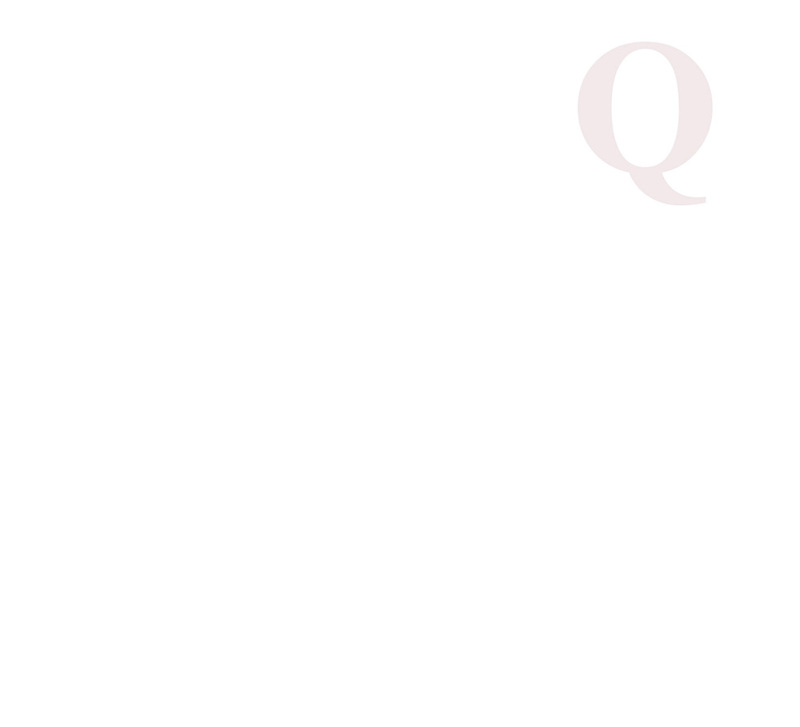 It is possible to save the Summary as a *.Pdf file for review later or email to your client... 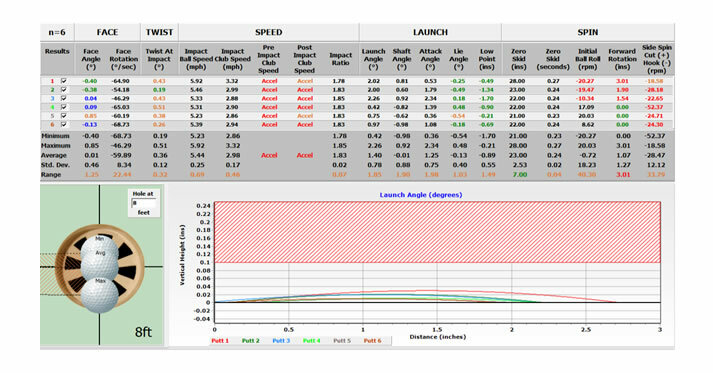 It is then possible to compare putting session results; for example, different types of putter; before and after changes to the loft / lie / length of the putter; and to demonstrate the effect before and after a putting lesson?!? It is possible to load numerous *.Pdf putting sessions at any one time. To analyse the putts you have saved to the summary simply click on the summary button at the top left of the page. Along with being able to analyse the putts you have in the summary, you can also subtract an individual putt or multiple putts from the summary to see how the averages and ranges change.